United Wallet Rs. 25 cashback on Adding Rs. 250 with Any Rupay Card. 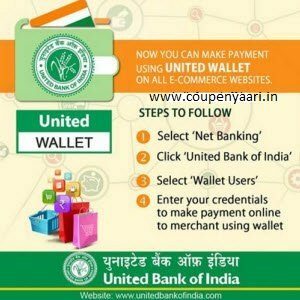 United Wallet Cashback Offers : United Bank of India for Mobile Recharge, Bill Payments, Fund Transfer, DTH Recharge, Wallet loading from all leading bank. How to get Rs. 25 cashback on Rs. 250 Deposit?